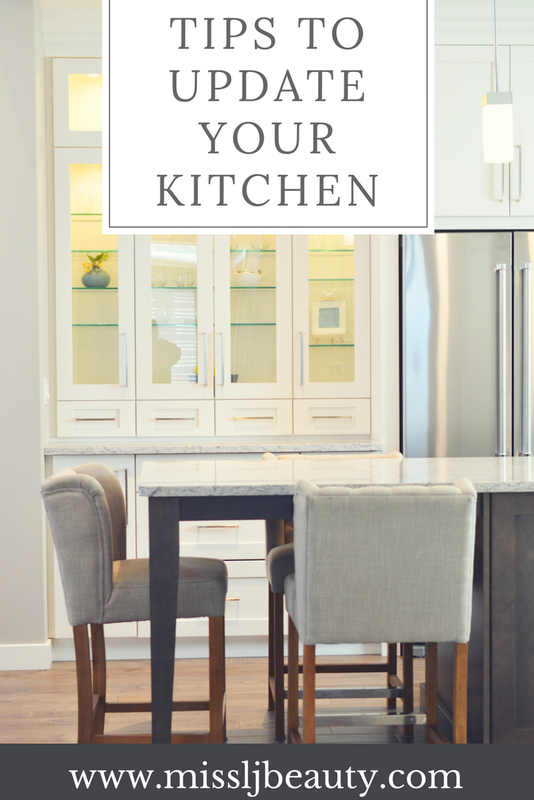 Giving your kitchen an update from time to time stops your home from becoming outdated or boring. You don’t need to do a massive renovation of your kitchen, with a few simple changes your kitchen can look entirely new. If you feel a bit lost and don’t know where to start, this post gives you some tips that you can try even when you’re working on a tight budget. One of the easiest ways to make your kitchen look brand new is by giving it a new lick of paint. 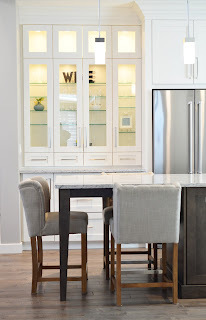 A great way to do this on a smaller scale is to repaint your cabinets. Unless they are incredibly outdated or have lost functionality, this is the perfect alternative to a costly remodel. If your kitchen is very small, then you should choose light colours as this will help to open up those darker spaces beautifully. An old trick that never fails, changing doorknobs and handles will also help to change of look of your kitchen. Often overlooked, but handles and doorknobs all help contribute towards a theme or style. Whether it be vintage or modern, there is plenty of choices out there. Accessories should never be underestimated when redecorating a room. In your kitchen, you can use your glassware and crockery as pieces of decoration by displaying them on shelves. 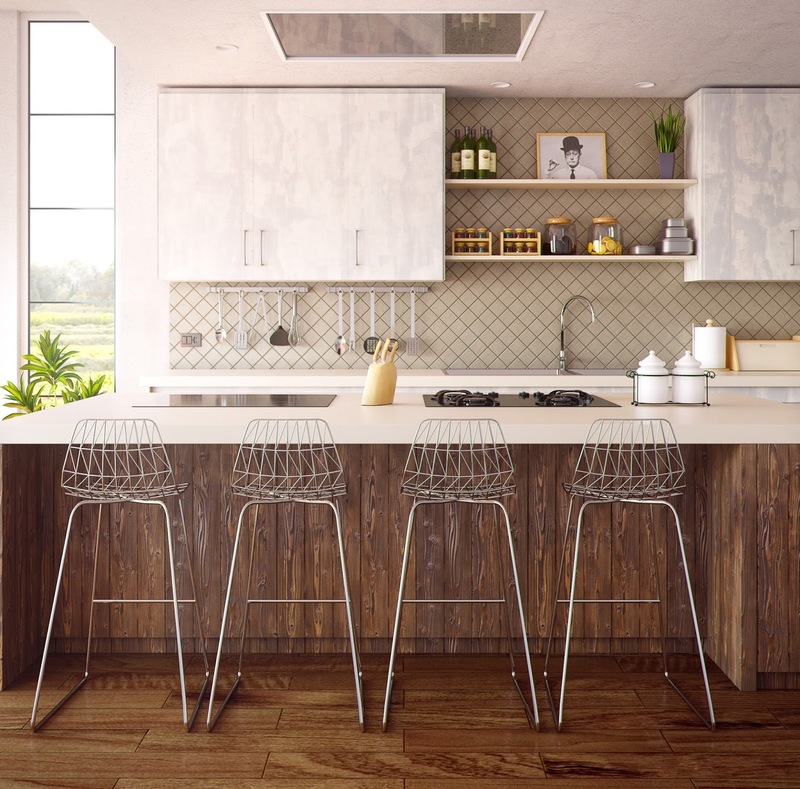 Plants are another good addition to your kitchen as they give an organic and natural atmosphere to a room. If vintage is what you’re going for, you can easily find various pieces in charity shops or vintage fairs. This is a fantastic way of up-cycling and reusing old pieces of furniture. 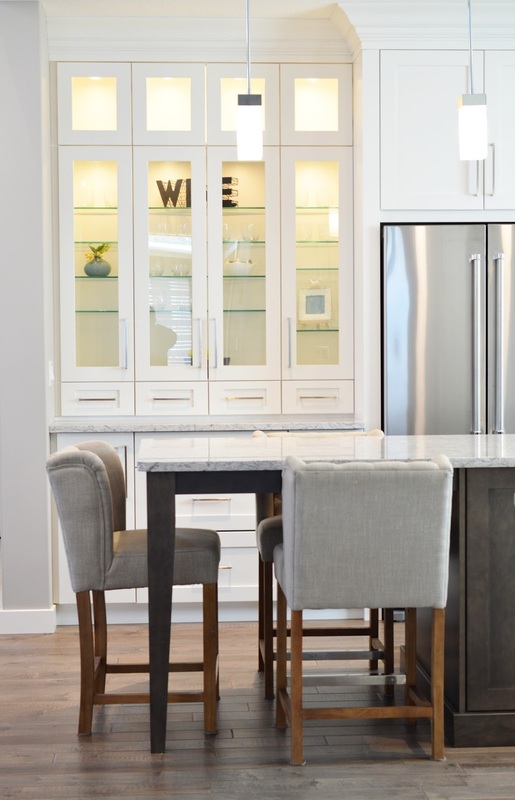 Lighting is key to the look of any room, and your kitchen is no different. Ideally, you want bright lights overhead to help brighten the room when cooking. For this, spotlights or LED bulbs are perfect as they provide plenty of lighting. But for a more atmospheric look, you can use fairy lights to decorate shelving units or the dining area. This helps to bring a more charming and relaxed look when you’re hosting guests perhaps. Updating the flooring is also a good way to give the kitchen a revamp. 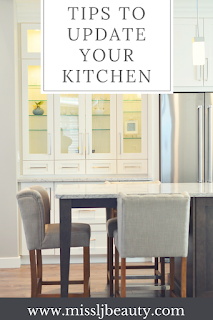 You might be thinking that changing your floor isn’t a cost friendly way of updating your kitchen. However, you can find very cheap floors that don’t sacrifice style over substance. For example, you can find a wide range of cheap flooring that looks like solid wood but without the price tag. Laminate floors have the advantage of being both water and scratch resistant. These are important features in the kitchen as spillages are very likely as there is an increased level of activity. As we mentioned previously, laminate floors are a high-quality alternative to solid wood and as such are available in a huge range of styles and designs. 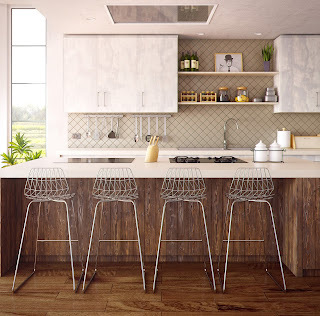 So there you have it, some tips that will help you to make your kitchen look brand new without having the break the bank.